The Coventry firm of Bayliss and Thomas was as old as the two-wheeler industry, trading from the solid-tyre bicycle era. In 1913 an 800 cc single cylinder motorcycle was brought out, the biggest production single ever to be made. In common with many manufacturers, the company used proprietary engines made by Blackburne and JAP. Post-war, to avoid confusion with the American Excelsior, Bayliss and Thomas christened their products “ British Excelsior”. In the twenties the Midlands company of Reginald Walker and his son Eric took over the firm and moved the plant to Birmingham. Eric Walker was a racing enthusiast and he promoted the use of Excelsiors in races. 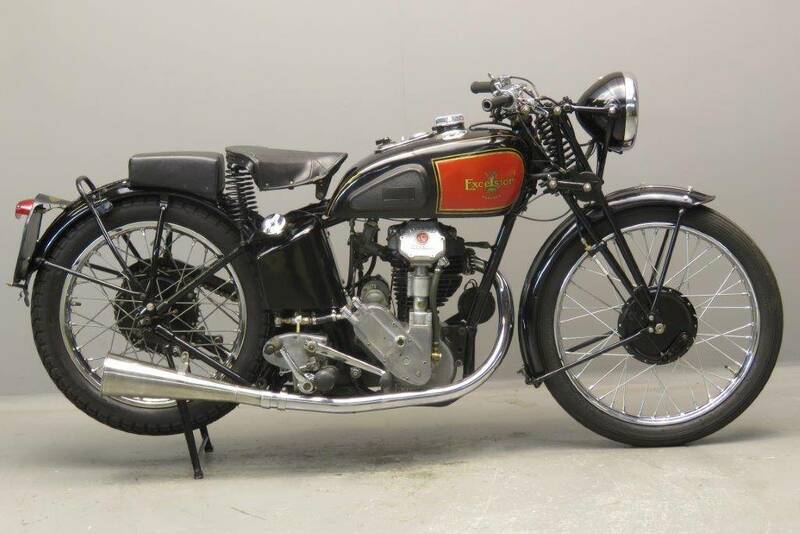 This led to the development of the “Mechanical Marvel”, a Blackburne-made four valve pushrod operated racing engine that won the 1933 Lightweight TT. However, the company decided it was wise to invest in the development of a less complicated and sturdier engine of their own design. This new model was presented in November 1934 at the Olympia Show as the “Manxman”. The engine was available in capacities of 249 and 348cc, later a 498 cc version became also available. The 248 cc model was the most highly developed and the most successful one. 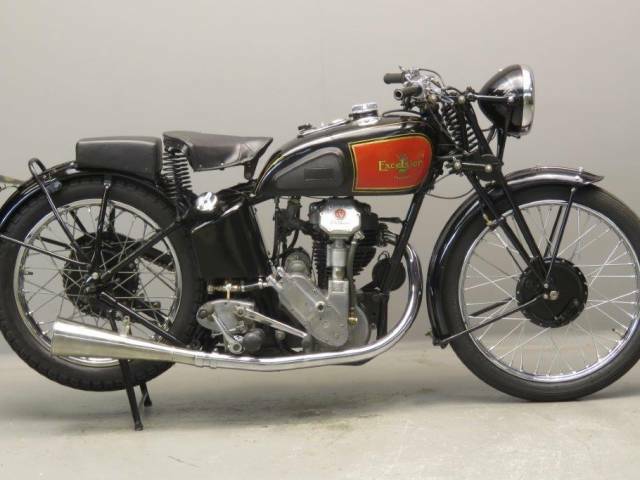 Although it never won a TT, the Manxman enjoyed considerable success in international racing and the Manx Grand Prix, Denis Parkinson winning the Lightweight race three times on the trot between 1936 and 1938. This fine first-year Manxman is an older restoration that comes complete with Miller electrics.